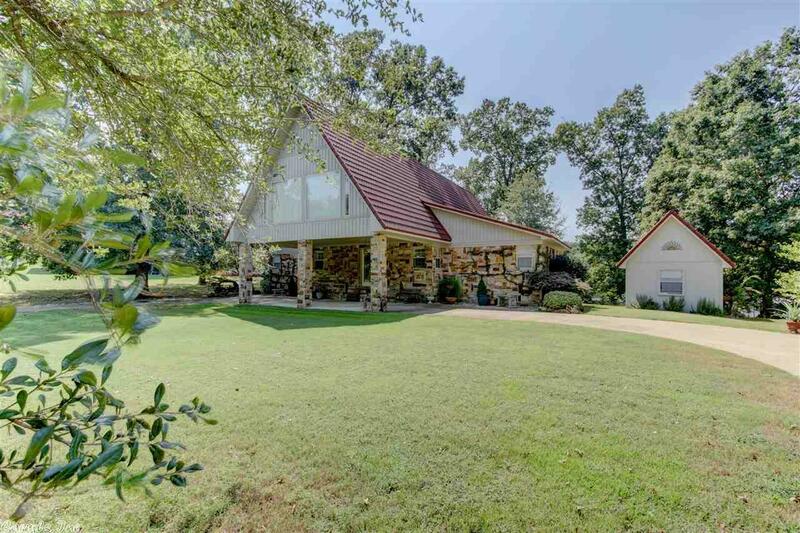 Custom built home w/ no expense spared sitting on a level tree shaded lot right on the waters edge of beautiful, peaceful Lake Catherine. This home was built with family and friends in mind with 3 master suites, tons of closet and storage space and plenty of room to entertain. Natural lighting throughout with floor to ceiling windows in living room leading out to oversized covered deck. Kitchen features Viking gas stove and large kitchen island. So many extras you will have to see this one for yourself! !